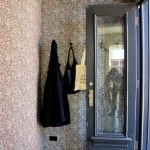 When MADE Architecture was enlisted to help a young couple renovate their newly purchased Boerum Hill townhouse, they started from a blank slate–literally. The 2,400-square-foot home had been gutted by its previous owners, leaving nothing more than the floor joists and a brick shell. MADE took this opportunity to reimagine the interior layout of the traditional three-bay townhouse. 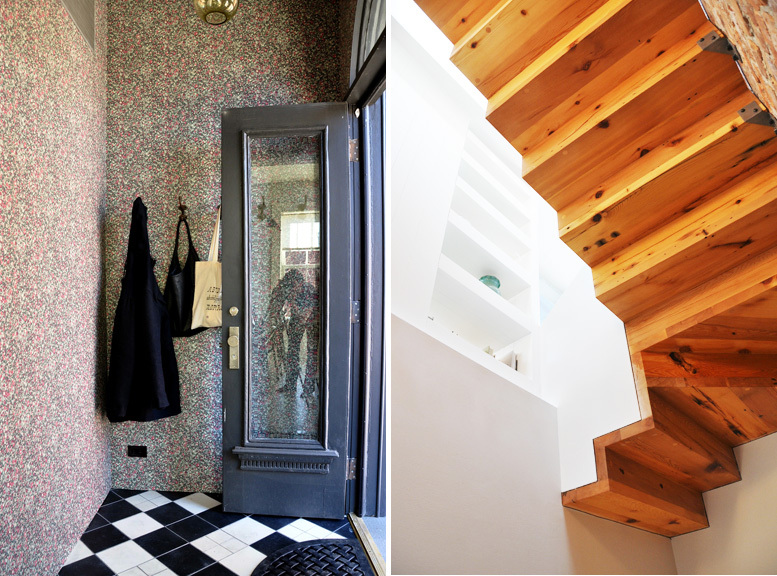 By reorienting the stairway as a switchback, space was freed up on each floor, creating a contemporary, loft-like floorplan. 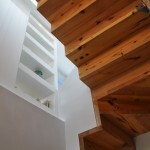 The stairs also sit under a large skylight, which fills all angles of the house with natural light. Throughout the home is a perfect balance of old and new. 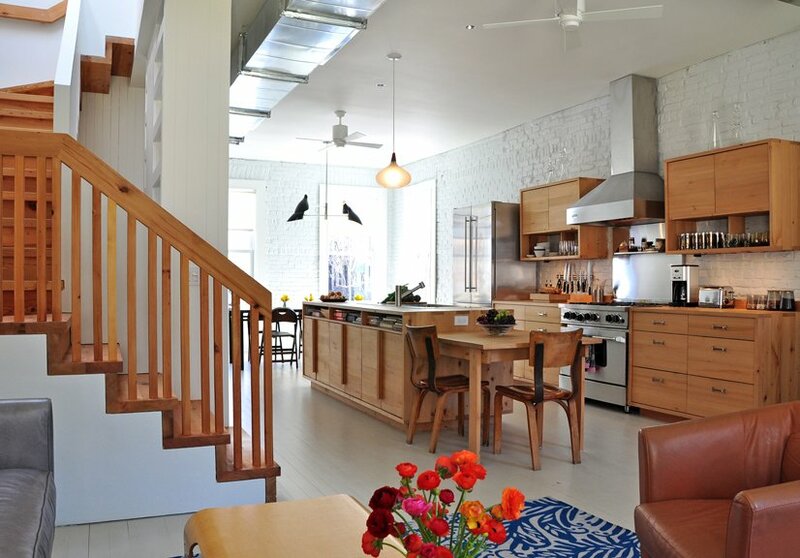 Painted exposed brick walls provide a backdrop for contemporary additions like the hardware, flooring, and ceilings. 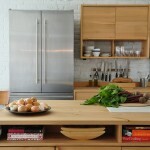 The custom-built cabinetry is made from re-milled salvaged wood beams, though it looks brand new. 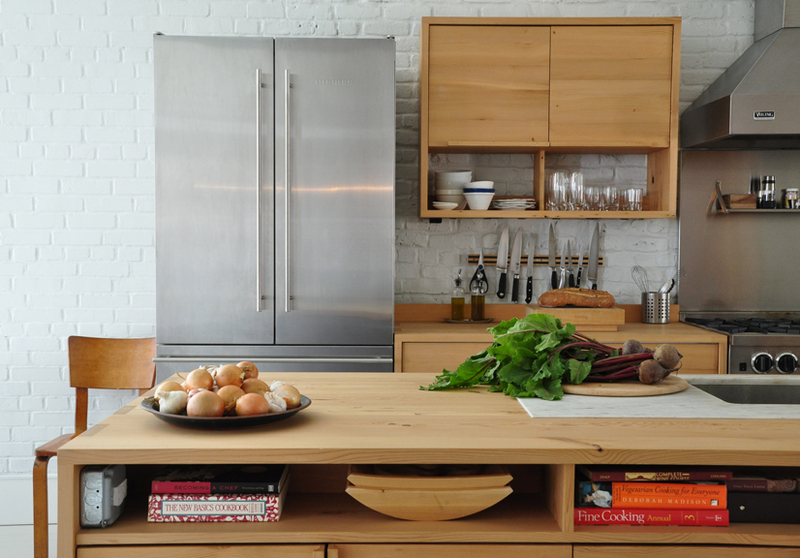 The kitchen island is perhaps the most clever and functional piece of the home. It has a built-in marble sink, exposed shelving above the cabinets, and an attached breakfast table. Appropriately scaled partitions were added to both bedrooms. 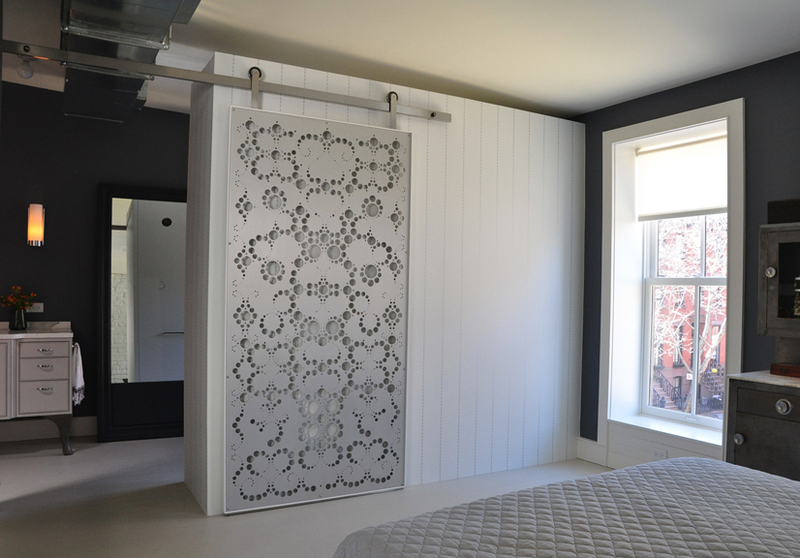 In the master, a simple white block, with a movable, cut-out screen in front, divides the sleeping space from the bathroom. 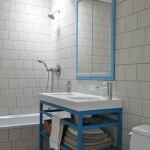 The industrial hardware of the screen track is a welcome accompaniment to the soft femininity of the rest of the space. 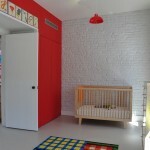 In the child’s bedroom, a bright red wall not only makes the room private, but provides plenty of storage. This almost-ground-up project was likely a dream for MADE Architects, which has “an innovative design-build practice” that integrates the architect and builder throughout the entire creative process. 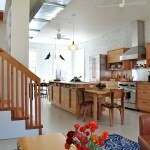 They combine a design studio, fabrication workshop, and contracting team under one roof in Red Hook, Brooklyn. Want to see more of what they’re up to? Visit their website.